Can you identify which segment you’re in? So here’s a game to play: Have a quick trawl through your inbox and look at some of your recent marketing emails. Can you identify which segment people think you’re in? In my experience, organisations spend a lot of time and effort on creating segmentation models. Be they demographic, geographic or psychographic, they can often be useful. Recently, I worked with a segmentation model that overlayed product usage on a combination of socio-economic and other demographic data. This gave us amazing insight into the customer. However, the implementation of these segments can be a struggle – once we’ve identified the segments, what do we do with them? In the example above, we were able to design product features around the segments, which was useful. 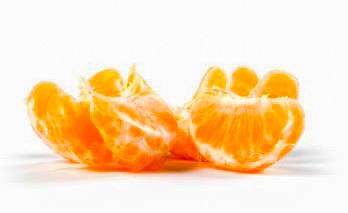 But where most marketers seem to fail is in being able to create effective and differentiated campaigns around the segments. Based on their knowledge of me, easyjet should be pretty assured that I don’t act like the models in the picture, I don’t dress like them, I don’t look like them and I definitely won’t be travelling with them. In short, I don’t relate to them. So either easyjet has me in the wrong segment or they sent the same email to all their customers. And I’ll assume it’s the latter. While it may seem like a trite example, I believe it works because there is such a simple and subtle fix. The email above is pretty light on copy and so the hero image needs to work extra hard. 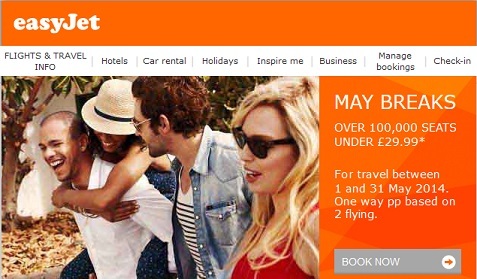 So if easyjet’s segmentation model has, say, three broad segments (young singleton, family, retired couple, for example), choose three relevant and engaging hero shots. They can do this while staying on brand and engaging their audience. Right, time to book a flight somewhere sunny I think. This entry was posted in Uncategorized and tagged customer engagement, customer marketing, email marketing, marketing, segmentation. Bookmark the permalink. Do charity shops make the most of their high street positions?